Sapsicles: is it early mud season already? Seems like we have not had our usual winter weather here, as much of the Northern Hemisphere is noting; Europe’s big freeze is beautifully documented at Boston.com, and our Vermont weather folk are scratching their heads about what to expect for spring. Will we see a drought? Will it snow and rain enough in the next two months to keep the rest of this year normal? It’s too early to give up on spring flooding, I know that much. 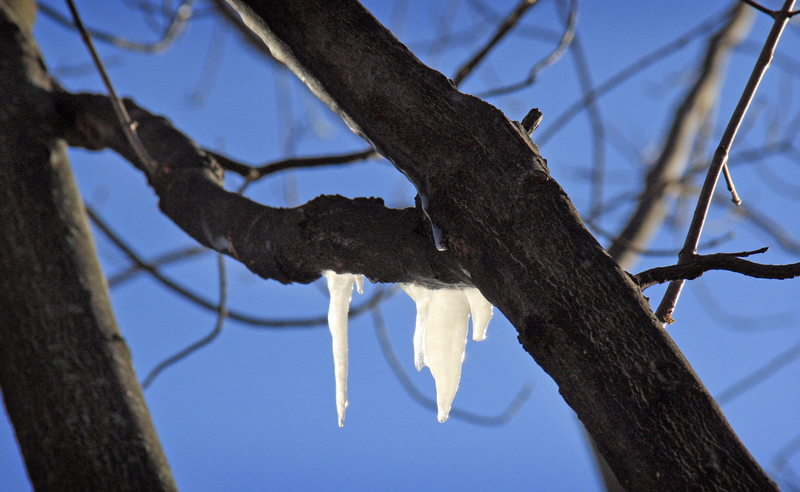 Sugaring season usually begins in mid-March, at least for me. The other day I looked out the window to see one of the maples dripping and I was surprised to see that this early. 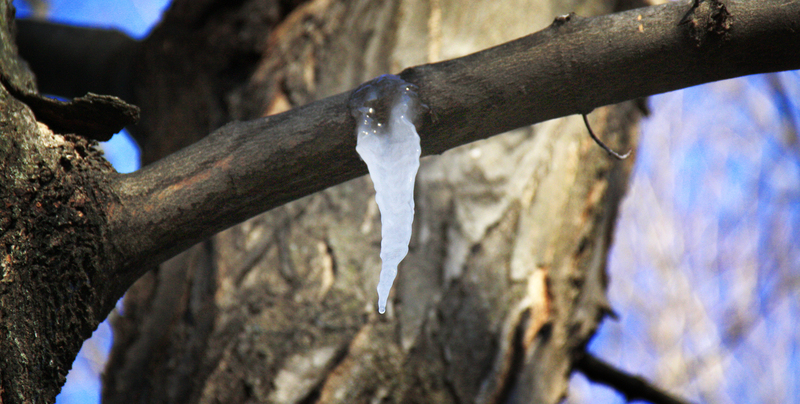 Today, there were sapsicles on several of the trees: icicles made from the rising sap running out of various holes in the trees. The birds love it, of course. But somehow I feel cheated. I haven’t washed my Turkish rugs yet this year, the kids have only been sledding a handful of times, and don’t get me started about the lack of nordic skiing. I feel like I’m not quite done with snow. I hope I don’t have to eat those words figuratively, but a little more snow would be much appreciated. Eating snow literally- especially with fresh maple syrup on it- now that’s a seasonal treat for which I am ready. This entry was posted in Spring, Vermont Journal, Winter by Maren. Bookmark the permalink.